Custom imprinted navigator sunglasses make a classic gifting option for advertisers of all genres. The navigator sunglasses never go out of fashion and are pursued due to their uniqueness. Advertisers craving for easy attention can always seek these sunglasses and choose to promote their business. 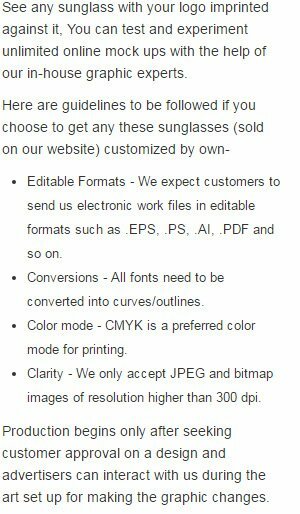 Marketers working in extremely low budget can always order these sunglasses in bulk to seek benefits.